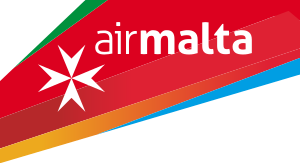 Air Malta is the national carrier of the republic of Malta. It serves destinations in Europe, Middle East and Africa out of its hub at Malta International Airport. It operates with 9 Airbus A319 and A320 aircraft. If you miss a connecting flight: If a delayed flight causes you to miss a connecting flight to another airline, you should be provided with an alternative routing to your final destination. However, if your itinerary is on separate tickets, we are only responsible for your journey up to the destination on your ticket.